Motherhood, mommy & me, just the girls sessions, whatever you want to call them, I adore them! These two especially! I have been very fortunate to have photographed them a few times, and enjoy our sessions each and every time. Again, it’s fun to watch the little one grow and change with each session. Here are some of my favorites from this sweet summer session! We headed to the lake again and the sunset was just perfect! 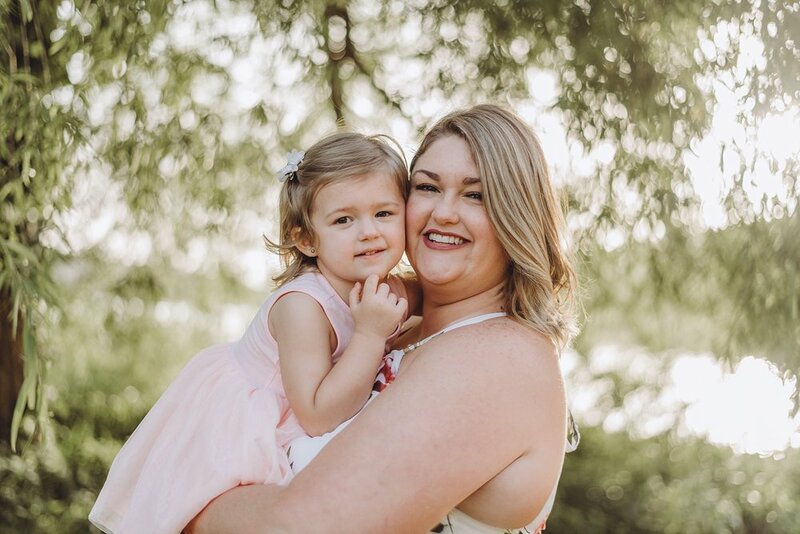 If you are interested in booking your own mommy & me session to celebrate motherhood, and your love and connection with your children, contact me using the button below! This mama and I headed out for a sunrise session one morning at the Roswell Mill Waterfall. It’s such a great location, and just an easy short hike down to this beautiful waterfall. There’s also a pretty covered bridge, and the brick from mill ruins provide some texture and interest. Heather initially contacted me about doing her newborn photos. As we were talking about scheduling her maternity session, she mentioned how easily this time is forgotten once the baby is born. As women, and mothers, our body does the most amazing thing, and I think it’s important to document, just like every other part of your baby’s life. It’s something we don’t want to forget. At the end of pregnancy most women are just over carrying around the extra weight, swelling, and all the other discomforts that may come in late pregnancy (no one said making babies was easy). Which is why I urge you to have them done in the beginning of your third trimester. You have a nice bump to show off, and you are coming off that second trimester high. You still feel great, and taking pictures to document this time will be an enjoyable experience. Here are some of my favorites from this session!! If you, or someone you know is expecting, I would love to talk to you about being your maternity and newborn photographer. Maternity sessions are included in my newborn packages. Contact me today about booking your session! !